In recent years, pressure sewer systems have become increasingly popular. There are two major types of pressure sewer systems, the Septic Tank Effluent Pump (STEP) system and the Grinder Pump (GP) system. Both of these systems come with different advantages and disadvantages. A pressure sewer system is different from a regular sewer system in that sewage is liquefied at the pumping station, before it is sent along the collection system to its final destination (the sewage treatment plant). Pressure sewers are also kept watertight, so that there is little chance of them either contaminating the surrounding ground or taking on much foreign material along the way, which is always a possibility with classic sewage systems that have many manholes and openings through which water can flow in and out. Therefore, pressure sewers are very desirable for more rural areas that rely heavily on groundwater However, pressure sewer systems require more maintenance and cost more than regular sewage systems. Septic Tank Effluent Pump systems are a type of pressure sewer system. STEP systems use a septic tank just like with older styled sewage systems. None of the solid material in the sewage is broken down in STEP systems. A holding tank carries the sewage until it is pumped away to a drain field for treatment. Grinder Pump systems have no septic tank. Instead, beneath the house there is a vault where all of the sewage is ground down using a grinder pump. It is turned into a material called "slurry" and then sent away immediately into a pressurized system of pipes. Because it does not require a septic tank, the GP system can be cheaper to implement; however, because of the grinding action, it does require more energy to run. 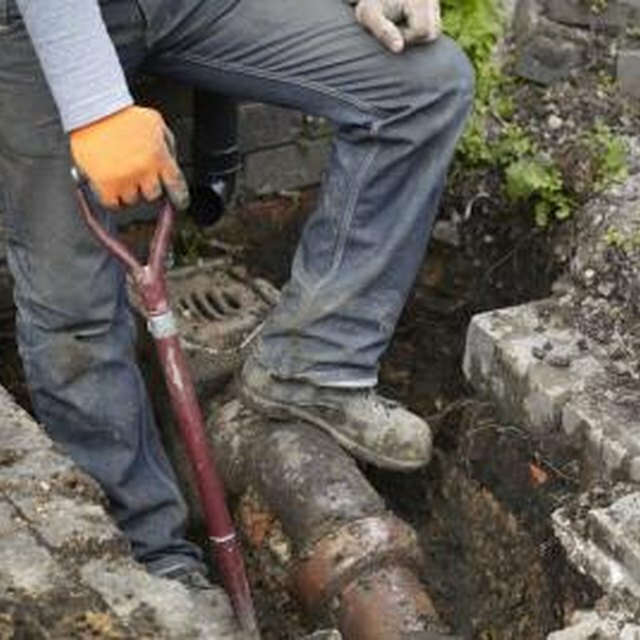 There are three major factors to consider in choosing between a STEP system and a GP system: cost, downstream treatment and low flow conditions On-lot (that is, at the site from which the sewage originates) costs are a big part of a pressure sewage system's price, sometimes as much as 90 percent. Since STEP systems are more similar to traditional sewage systems than GP systems, they can be a lot cheaper to implement, and because STEP systems tend to be less complicated and sophisticated than GP systems, the equipment comes much cheaper. Material from a GP system has a higher level of Total Suspended Solids (TSS), and this could potentially be unacceptable for some treatment facilities If an area's population fluctuates considerably, STEP systems will most likely be better able to adjust to the lessened flow of waste and might be a better choice. Your choice between a STEP system and a GP system depends on where you are and how much money you have to work with. A STEP system is less expensive, more versatile, but also not as efficient as GP systems. However, GP systems require more power and are not as able to handle variations in flow. Which Water Filters Take out Chlorine & Fluoride?